(Israel Hayom via JNS) Juan Guaidó has been sworn in as temporary president of Venezuela – two weeks after Nicolás Maduro, the president elected in a disputed vote last year took the oath of office – and Venezuela is in chaos. Venezuela is home to some 5,000 Jews. About 20,000 Jewish Venezuelans have left the country in the past decade because of economic conditions and in particular because of how the Jewish community has been treated since 2009. “Operation Cast Lead” (in the winter of 2008-09) was a turning point for the country’s Jews. They faced discrimination from anti-Israel activists, and synagogues were vandalized. The prejudice peaked when then-President Hugo Chávez – known for his pro-Palestinian stance – demanded that the Israeli ambassador leave over the “Holocaust that Israel was perpetrating in Gaza,” as Chávez put it. Since then, Israel has had no diplomatic presence in Venezuela. “There is a really confusing situation here, two presidents, and the situation of the Jewish community, like that of the other residents, isn’t good,” Elias Farache, president of the Confederación de Asociaciones Israelitas de Venezuela (CAIV), the umbrella organization for the Venezuelan Jewish community, tells Israel Hayom. Members of the community are biding their time to see what will happen and hoping that the current crisis passes. “There is a really bad economic crisis here. We hope that all sides will resolve their problems peacefully,” says Farache. “We as a community do not officially support anyone. We hope and pray that there will be peace in the country and no violence. As of now, there are a few thousand Jews in the country, and for Jews, the situation is tolerable. The government tries to respect us and gives us freedom to live as Jews. There are synagogues, schools and all the Jewish services are fine. It disturbs us that there are no diplomatic relations with Israel,” he says. Juan Carlos López’s children have all left Venezuela for Israel in the past few years, but he still lives in his home in Caracas. “The general situation in the streets of Venezuela is one of confusion and total chaos,” says López. “Right now there are two presidents in the country, two supreme courts, two parliaments. With the support of a fake, illegal supreme court, Maduro rules the country, like Chávez before him. There is a very tense quiet in the streets. The people are trying to maintain their routines, but it’s clear that the political mess is affecting everyone.” People still behave with caution because this regime uses force, both the army, which still supports it, and violent civilian commando groups who are paid for their actions. Thus far, as far as we know, 16 people have been shot to death by supporters of President Maduro. “I’m involved in the Jewish community, and it’s clear that this isn’t an easy time for us. The community here has influence in business, in medicine, and is very involved, and as such suffers from antisemitism, especially under the past few governments, which have been anti-Zionist. Many Jews have left the country because of the economic collapse of recent years. People get paid, and if they don’t use the money immediately, they lose at least 10 percent of its value in a day,” says López. “The protests are going in the poorer parts of the city, even though that’s the area that identifies with Maduro,” he observes. 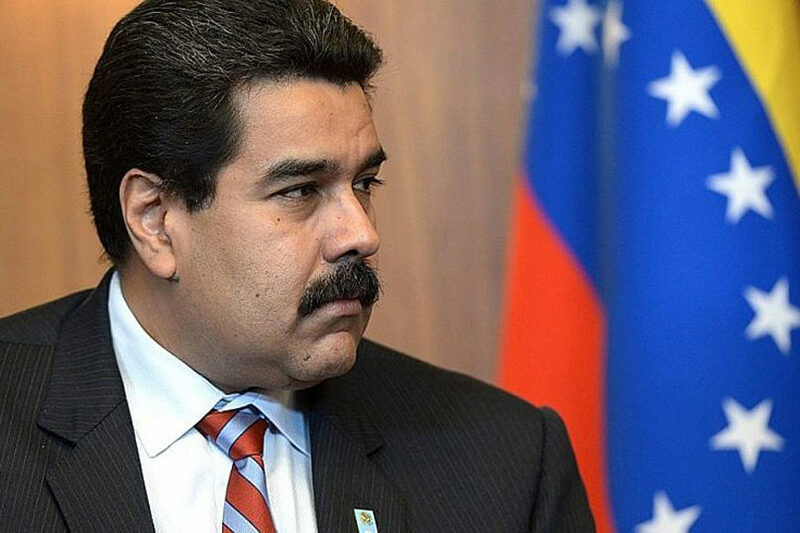 Maduro ordered American diplomats out of the country, but the United States has refused to recognize the expulsion of its diplomatic staff because it does not recognize Maduro as the leader of Venezuela. The United States has officially recognized opposition leader Juan Guaidó as head of state. The people of Venezuela are confused and fearful. CAP: Venezuelan President Nicolás Maduro. Credit: The Kremlin.